CAREER: Need Help With Writing Your CV? Let me explain how this idea came about! During this 3 month observing period I noticed a lot of bloggers would often tweet about their day to day lives and there were a number of tweets relating to career, how to get work in certain sectors, job interviews and CV writing. Now a bit about myself to share with you all is that I am a successful recruiter with over 10 years experience in the recruitment IT field recruiting for some big names so I see hundreds of CVs each week. With over 10 years experience its fair to say I have in my time seen a number of good and bad CVs! A lot of people struggle with various aspect of CV writing from layout to contents. I thought it would be good to put my skills to good use and offer you all a CV writing service. I can help from writing CVs to helping you prep for interview or even give you advice on job hunting in your sector. To find out more please go to the top of my blog and click on Shop - CV Writing. I hope this service will help some of you in your careers or helping you find your dream job! Something to think about for the new year! Totally clicking on that in the New Year Mandy. I'll certainly be picking your brains soon. 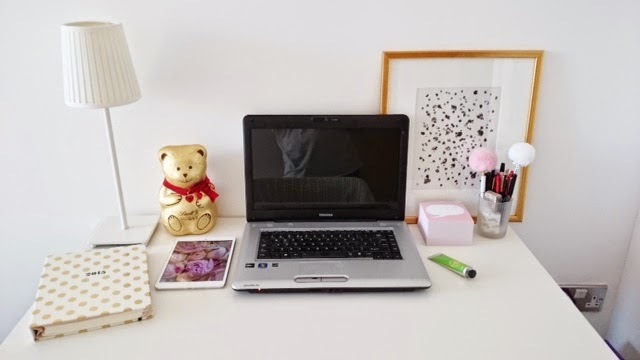 Your desk looks so lovely too. Is your diary Kate Spade? It's the cutest! Yes it's Kate Spade, didn't see it in store yesterday tho...prob all sold out. Mine was the 18 month one I brought back in July. What exactly is CV writing? Are you in the US? If so, from my understanding it is the equivalent of a resume. Assisting others find a job and master the art if jobhunying given your experience is so great! !